Baltic Porters were traditionally brewed by countries bordering the Baltic Sea. This style is derived from English porters but was influenced by Russian imperial stouts. Uniquely, Baltic porters are lagers, not ales. This means it was cold fermented (58F) with lager yeast and aged in red wine barrels for 16 weeks. 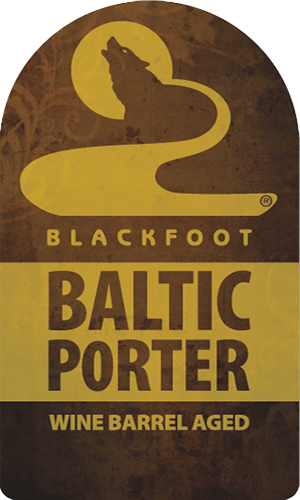 Blackfoot’s Baltic porter is a very dark brown, but not quite black. The aroma is rich and roasty with a big dark fruit character of plums, dates, and cherries. The body is very smooth with big flavors of chocolate, roasted malts, dark fruits and a hint of oak.